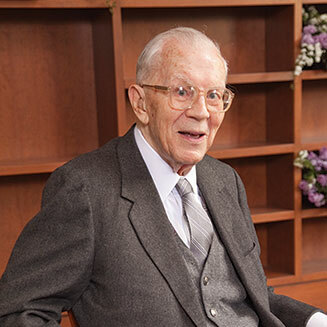 "I&apos;ve given to Case Western Reserve every year since I graduated in 1937. I was so honored that Case helped me get an education, and did things for me, and so forth, that I&apos;m very honored to try to help out." 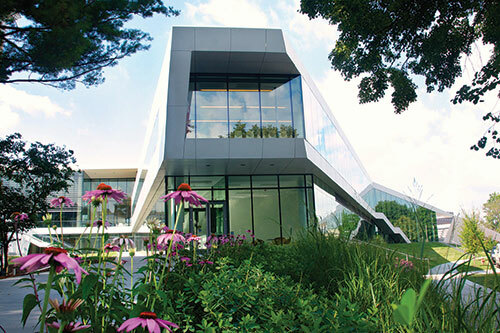 One journalist wrote that Case Western Reserve&apos;s new Tinkham Veale University Center resembled an "origami starfish." Another described its "modesty and restraint." And a third observed that the sleek, steel-and-glass structure finally could give the campus a "more contemporary architectural identity." Yet the primary audiences for the $50 million, 89,000-square-foot space actually aren&apos;t people outside the campus, but those who visit it every day. 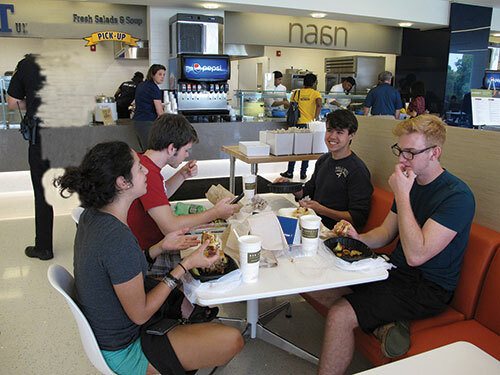 Crowds have packed the food court and study spaces since the building opened Aug. 24. People play the interactive games Cleveland Institute of Art graduate Thu Tran designed for a giant media wall. They partake at Melt, a local restaurant favorite, along with a variety of other eateries. And they pause to appreciate a giant word mural, "What Are You Waiting For?" by artist and University of Vermont Associate Professor Nancy Dwyer. The two-story space also features a 7,300-square-foot ballroom, the Inamori International Center for Ethics and Excellence, the Flora Stone Mather Center for Women, and the Lesbian Gay Bisexual Transgender Center. The building includes an amphitheater, heated outdoor patios and a sit-down restaurant. Funded entirely by donations, starting with a $20 million lead gift from Tinkham Veale (CIT &apos;37), the project drew commitments of $1 and up from more than 1,000 people. Among other major contributors were: the Kent H. Smith Charitable Trust, the Kelvin and Eleanor Smith Foundation, the Inamori Foundation, Frank and Jocelyne Linsalata, Charles "Bud" and Katie Koch, and the Flora Stone Mather Alumnae Association. Veale himself died in 2012, and so did not live to see his signature project completed. But during a ceremony that honored donors and celebrated the building, President Barbara R. Snyder observed: "I like to imagine that somewhere…somehow…he can see all of us now. Even more, I hope he will see the legions of students who will troop through his building." Introducing Students to the World. Bringing Justice to Conflicts Worldwide. © 2013 Case Western Reserve University, Cleveland, Ohio 44106. All rights reserved. Contact think.